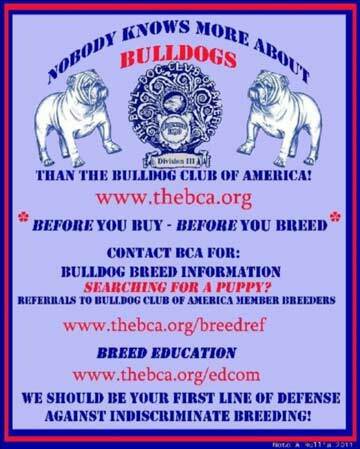 Than the Bulldog Club of America. The match is scheduled to begin at 2 PM. Entries will be taken starting at 1 PM. Classes for 3-6 months, 6-9 months, 9-12 months and Open. Match judge will be Chuck Spears and Futurity judge will be Christy McDonough. For more information, please download the flyer here.